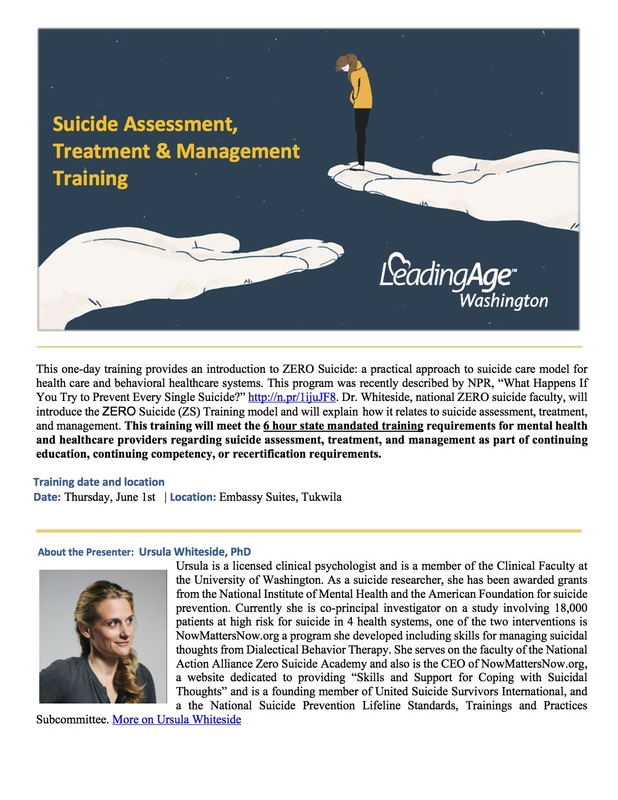 Dr. Whiteside, national ZERO suicide faculty, will introduce the ZERO Suicide (ZS) Training model and will explain how it relates to suicide assessment, treatment, and management. This training meets the NEW 6 hour state mandated training requirements for mental health and healthcare providers regarding suicide assessment, treatment, and management as part of continuing education, continuing competency, or recertification requirements. [RCW 43.70.442 Social Workers, Physical Therapists, and Nursing.